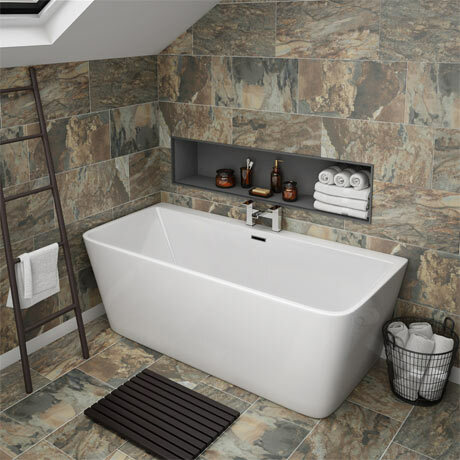 The superb Orion modern back to wall double ended square bath, bring a neat finish into your bathroom with this stylish space-saving bath. Manufactured from smooth 4-6mm thick white gloss acrylic. Looks great with one of our quality wall mounted or floor mounted free standing bathroom taps. Supplied with a integrated chrome finish overflow and click clack waste. Still in the box but it looks lovely. 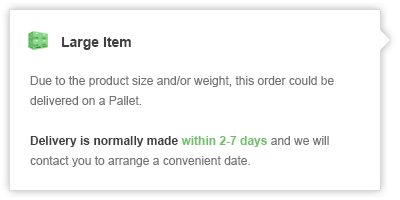 Very good item great service. Quality bath at a fantastic price. Website was very easy to navigate. Delivery spot on as well. Highly recommend Victorian Plumbing.